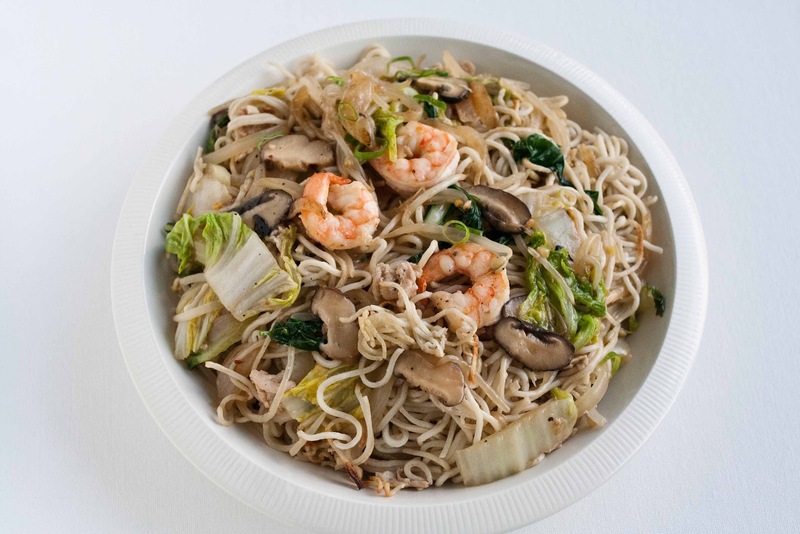 I have been thinking about Cantonese-style chow mein, and how much I miss the Chinese restaurants of my youth. The Great Wall. Far East. MP Paul's Kitchen. That's the kind of Chinese food I grew up eating. 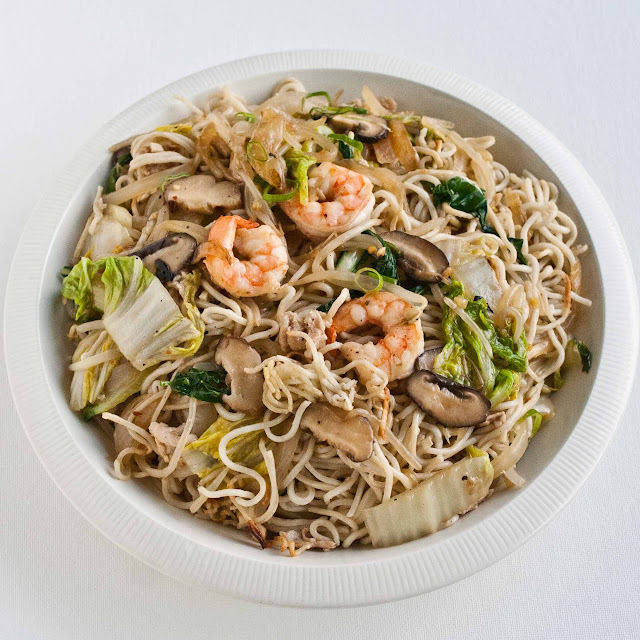 This is my version of the chow mein of my youth. When you make it at home, you can make it anyway you like. Here, everything is mixed together. 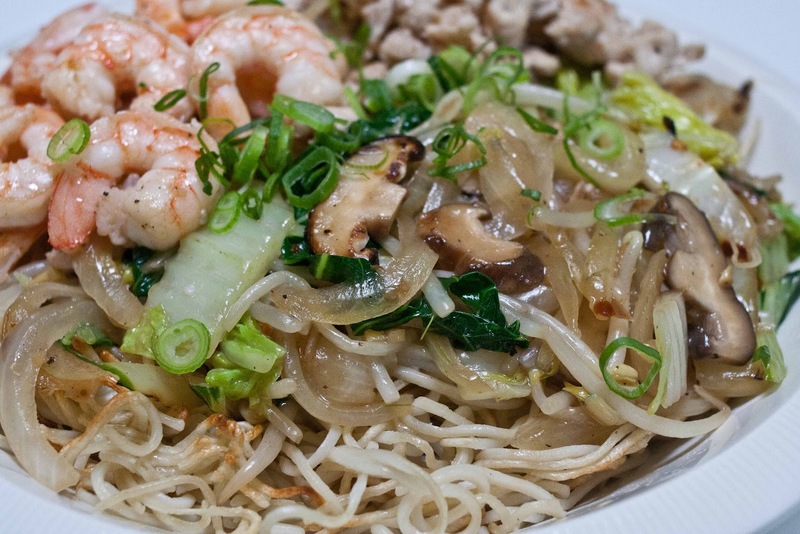 This one has pork and shrimp in it. This one has vegetables and noodles only, with the noodles on the bottom. You can make it any way you like. You don't need exact amounts. Go by what you like and how it tastes. If you're a meat lover, add more meat. If you want less meat, or only for flavor, use a little. Lots of veggies are always good. Baby bok choy sliced in half is good in here too. Use what you like. 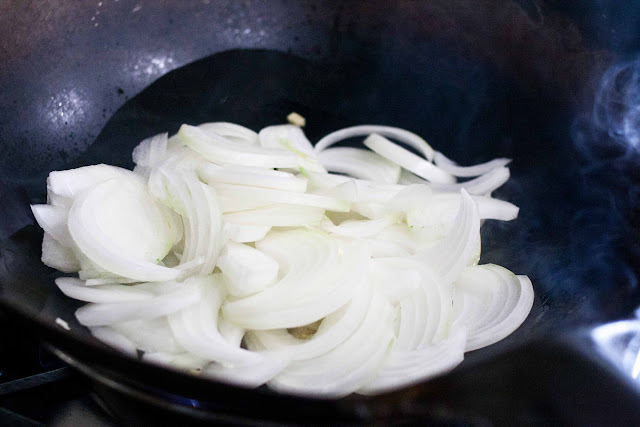 Develop your cooking intuition, it's worked well for me, and my kids cook like that, too. 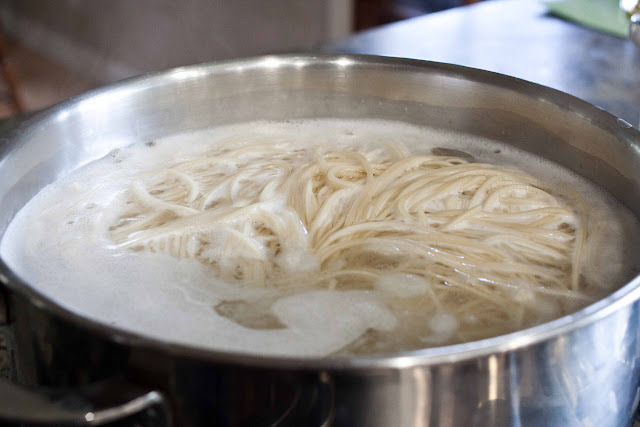 Boil the chow mein noodles. 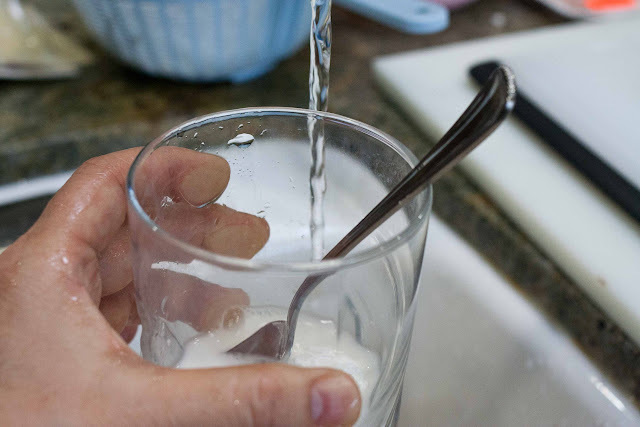 Have a cup of water ready. Some people might say that a watched pot never boils, but it will. You don't have to watch it that closely. 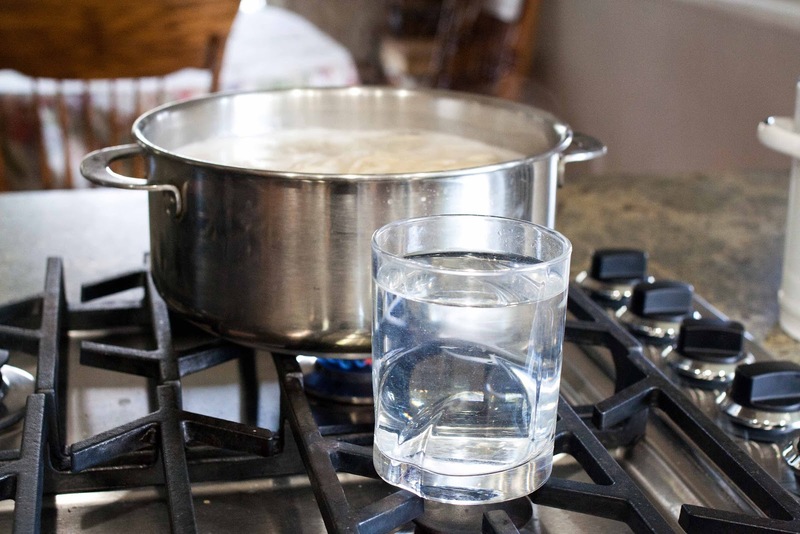 When the noodles and the water start to rise up, pour in the cold water. When the water starts to boil again, the noodles are done, but test them to be sure. 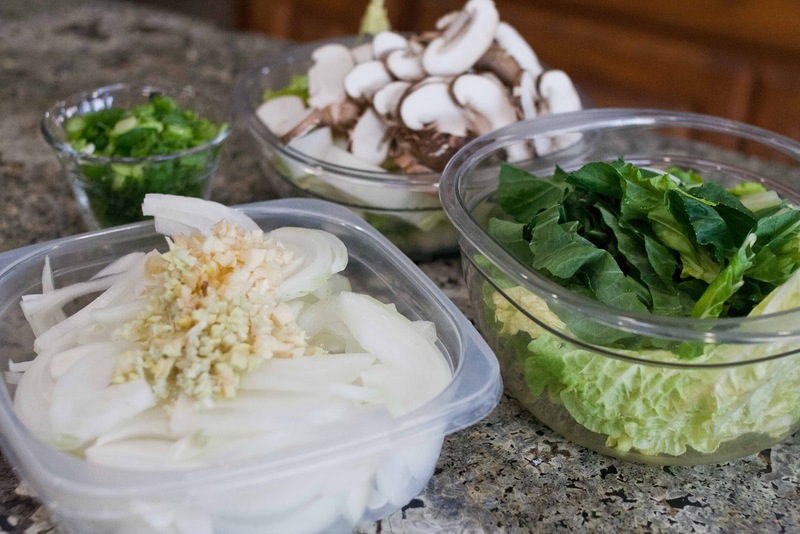 Chop all your vegetables and get your other ingredients ready before finishing the noodles. What made the chow mein of my youth so good, for me, were the pan-fried noodles. 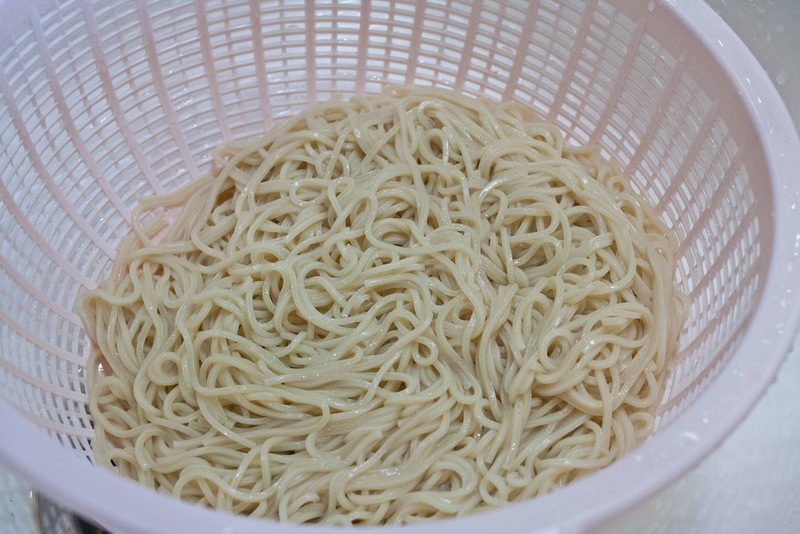 Pan-frying the noodles in batches takes a long time, makes a mess, and uses a lot of oil. I think this way works well. 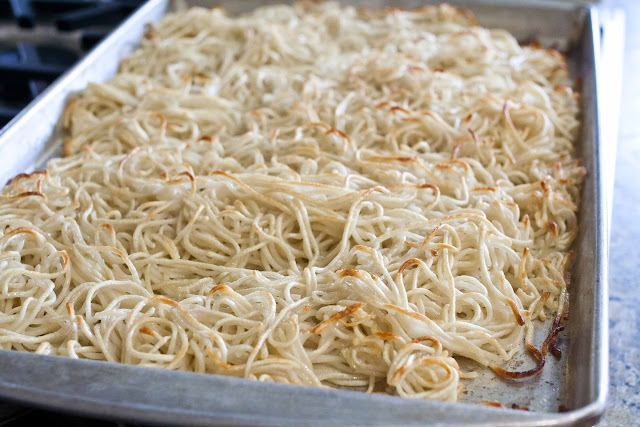 Spray some non-stick spray on a baking sheet and drizzle about a tablespoon of oil on the noodles. 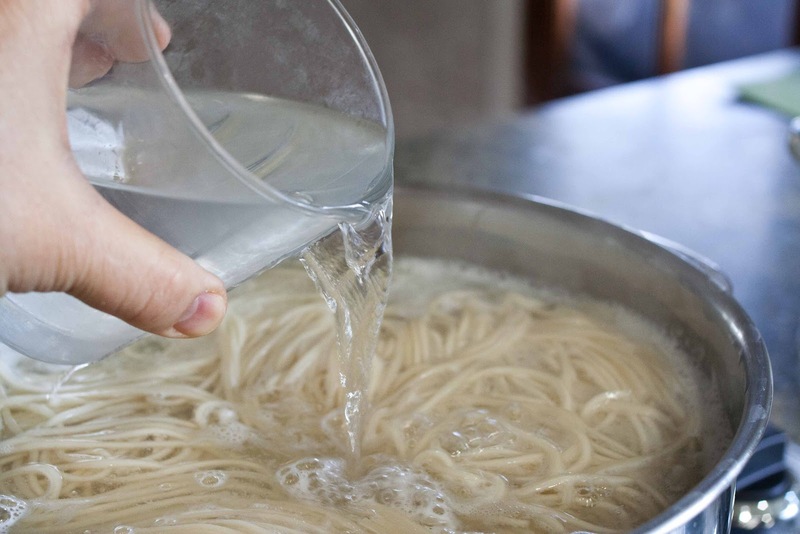 Next time I'm going to try spraying the noodles instead of drizzling the oil. Put them under the broiler until they brown. Maybe a little bit more than this. 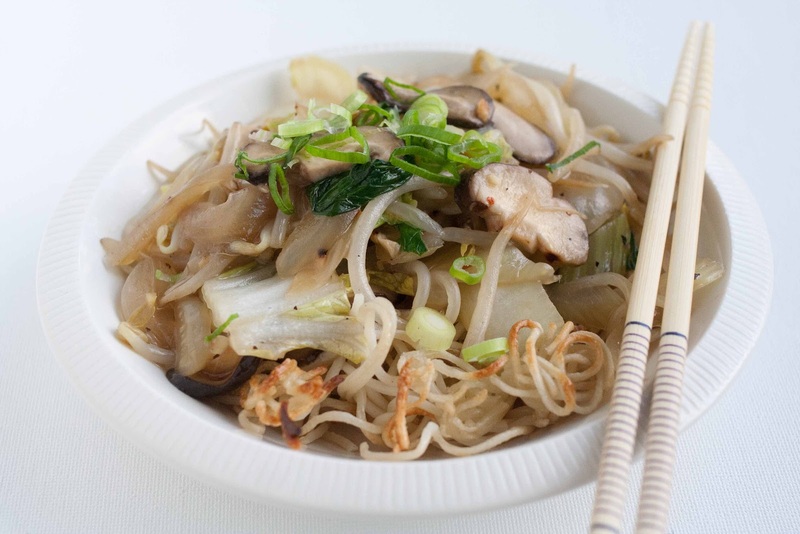 Cut the sheet in half and turn it over to get the noodles crisp on both sides, if you want. One side only is okay, too. 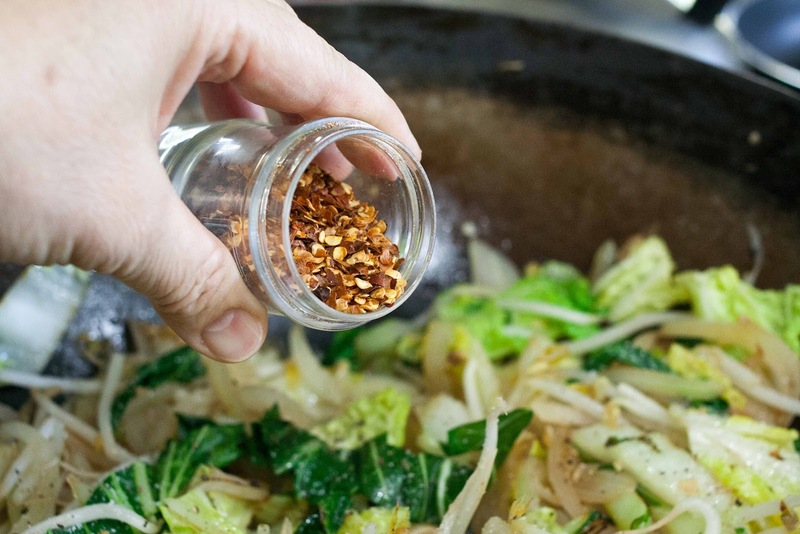 Sprinkle with salt and pepper, and try not to eat them all before dinner. 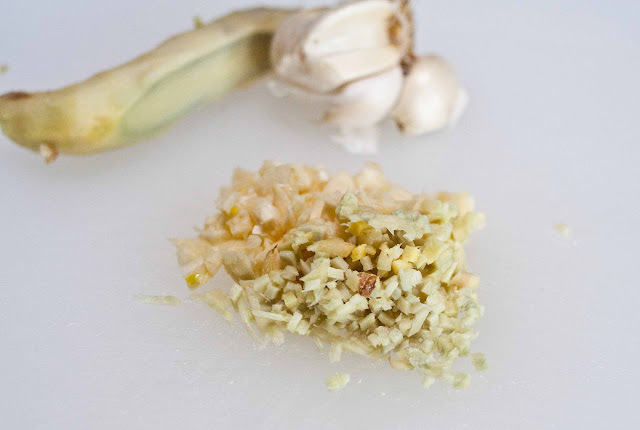 I used 2 cloves of garlic and about 1 teaspoon of minced ginger. 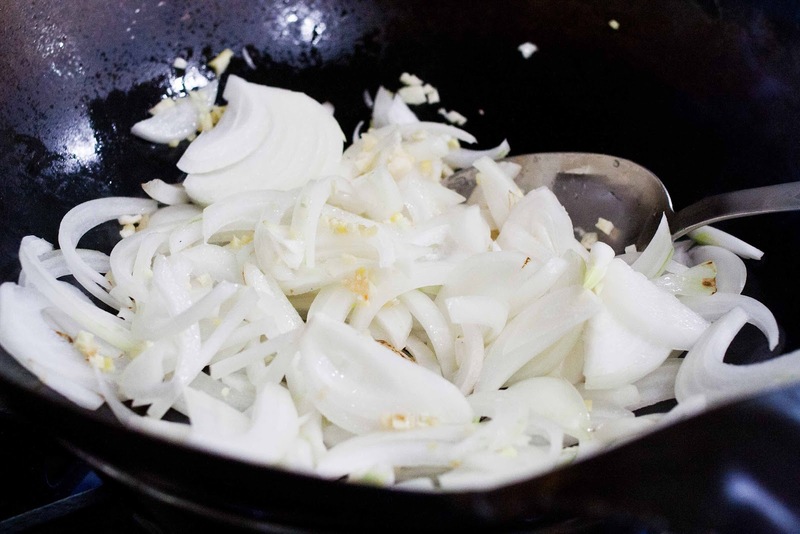 Put them in the container with the sliced onions. When you get your noodles under the broiler, start cooking the vegetables. 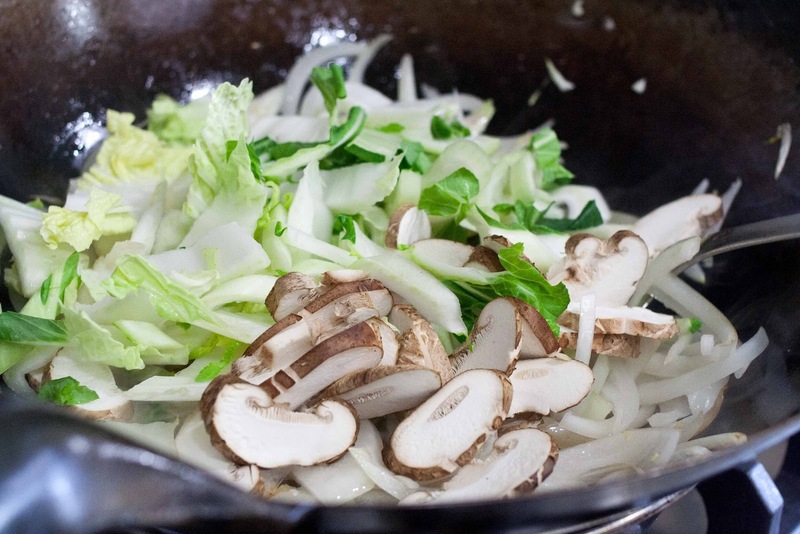 Heat your wok or large skillet. Pour in about a tablespoon of oil. 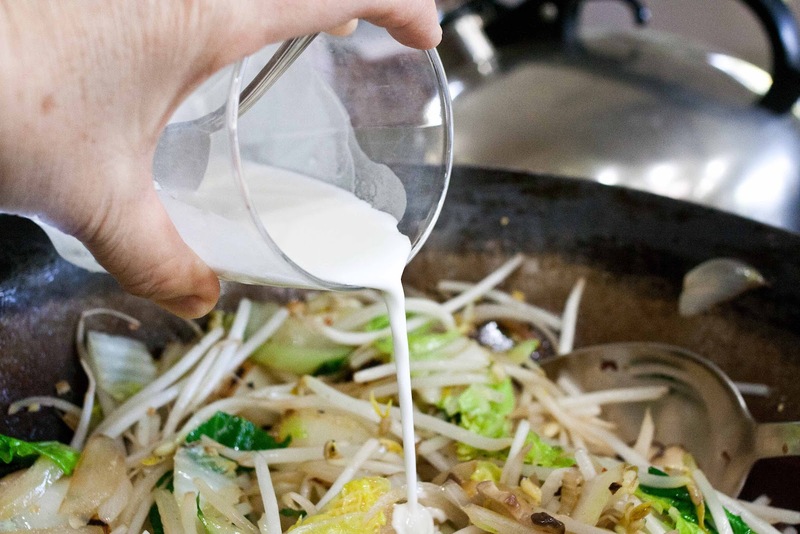 Peanut oil has a high smoking point, so your wok can get really hot. Be sure to turn on your vent above your stove. Some people add the garlic and ginger first to thoroughly flavor the oil. 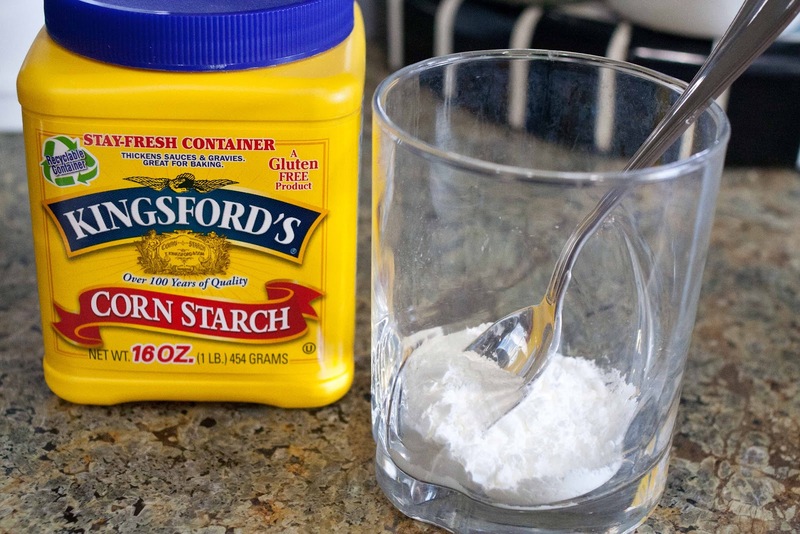 Add a couple of spoonfuls of cornstarch to a glass to make a thickener for the gravy. Add a little bit of water to the cornstarch and mix well. 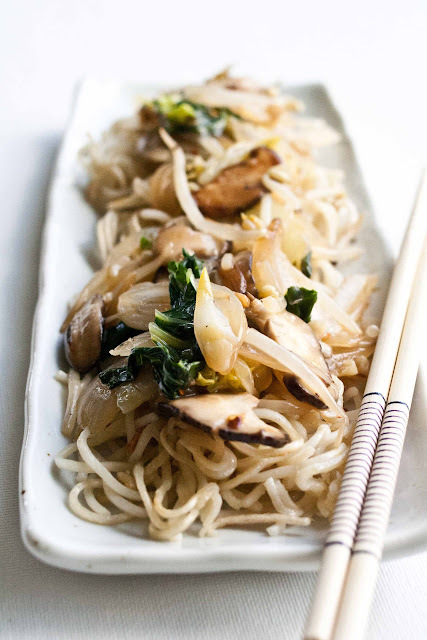 When the onions are a little wilted, add the mushrooms, bok choy & nappa stems. 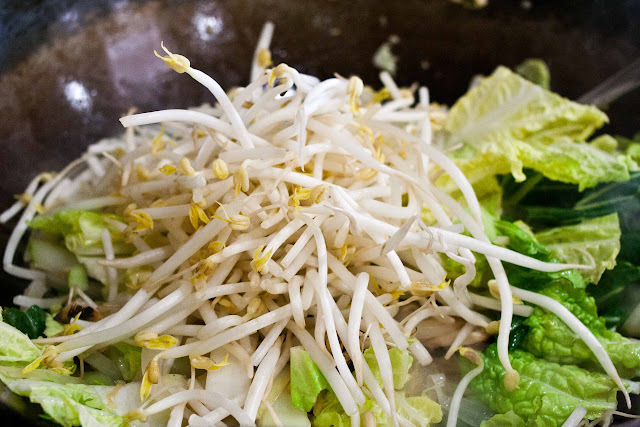 Then add the bean sprouts and nappa & bok choy leaves. Season with a generous pinch of chili flakes, a teaspoon of dashi (Japanese soup stock powder), salt and pepper. My mom didn't make chow mein with Chinese five-spice powder. I think she didn't care for the taste. Sometimes I use it, sometimes, I don't. Today I'm not using it, but use it if you like it. There will be liquid at the bottom of the pan. If you like more gravy, add some chicken broth, so there's more liquid, or add some water. 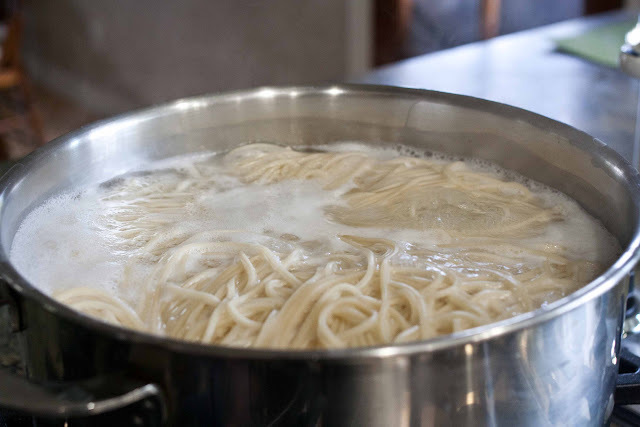 Thicken it, when it boils, with the cornstarch and water. Add a little at a time, continuously stirring. It can be a little bit tricky, you don't want it to get too thick and gummy. If that happens, though, just add some water, a little bit at a time. Turn the heat off when the bean sprouts just begin to wilt. Roughly chop the thinly sliced pork loin and salt & pepper it along with the shrimp. 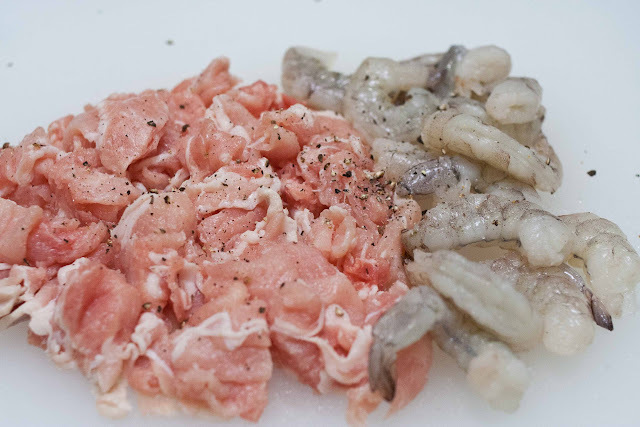 Add a scant tablespoon of oil to a hot pan and add the meat. 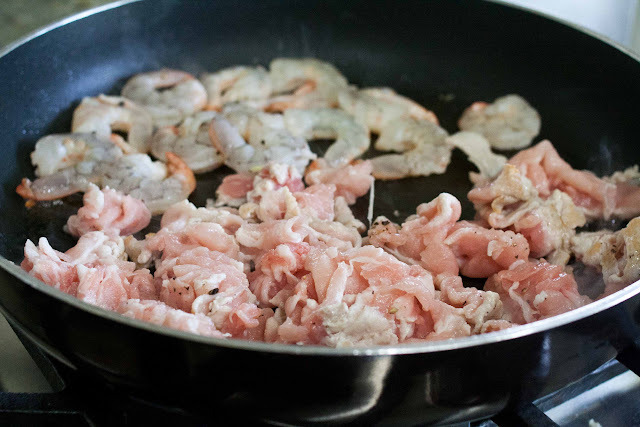 When the shrimp start to curl, turn them over, and cook for another 30 seconds or so, and remove from pan. 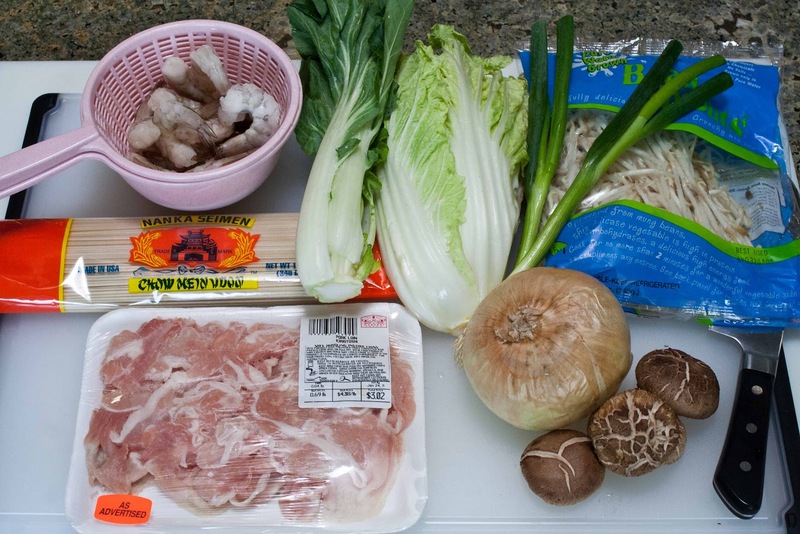 The pork will cook quickly, saute it until cooked through. Put the noodles on the bottom of a large bowl or platter, and scoop the vegetable mixture on top. If you have vegetarians, you can put the meat on top, or make a separate dish without meat. Sprinkle a bit of green onion on top. Or cilantro leaves, if you have them. Or, mix it all together. I remember going to The Far East Cafe in Little Tokyo, downtown Los Angeles, when I was little, mostly after a funeral. That's the only time I can remember going out to eat in downtown LA as a family. There are five kids in my family, we didn't go out to eat much when I was little. I only remember Chinese restaurants. I remember the Far East seemed old, even back then, in the early '60s. Downstairs there were dark, thickly shellacked dividers between the tables, but we mostly ate upstairs, in the banquet area, and you had to go up creaky stairs to get up there. I liked going up there because you got to pass the kitchen. In the couple of seconds it took to pass the kitchen, there were wonderful smells, a flurry of hustle and bustle, and the sounds of the cooks and servers shouting to one another in Cantonese. The rice was served in a mound, like an igloo. I remember one particular time upstairs at the Far East. 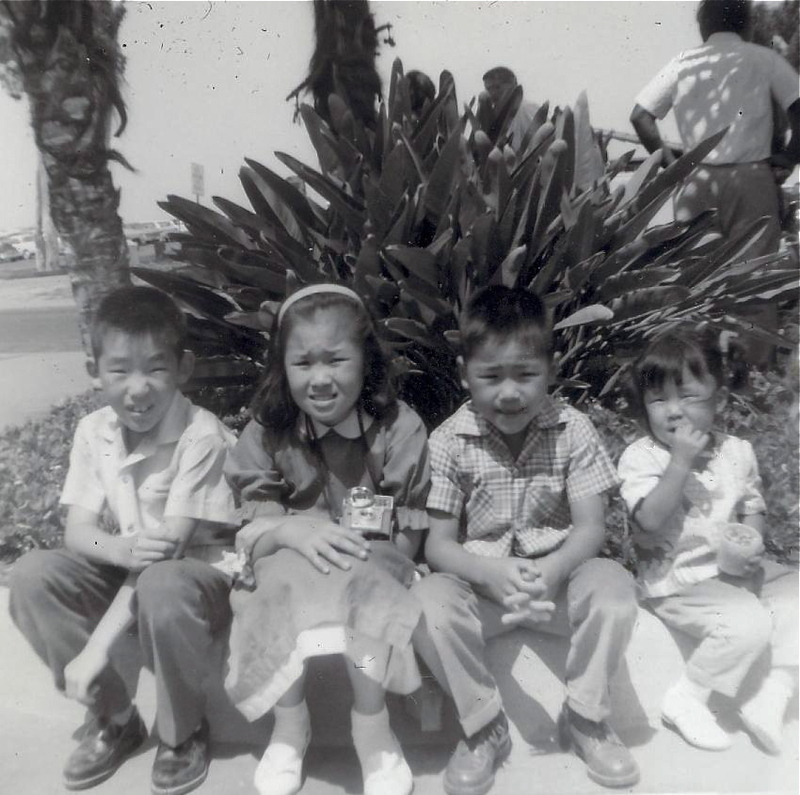 My brothers were about the age in the picture below. We kids sat at a table separate from the adults, and the waiters served cokes to all the kids. One of my brothers was showing the other brother what happens when you put sugar in your coke, and dumped a bunch of sugar from the table dispenser into his drink. BIG flood of bubbles ALL OVER THE TABLE! I guess that's why we didn't go out to eat much when I was little. Needless to say we didn't get to stop for some Chinese crack seed at the cashier on our way out that day. As I got older, the Great Wall in West Covina was the place to go for good, cheap eats after a ski trip to the local mountains, and the Far East the place to go before Dodger games. Our kids grew up going to the Great Wall with Grandma & Grandpa and we were all sad when it closed. Delicious!!!! Reminds me of how much I miss my mom's cooking. She doesn't cook too often now. Both my sisters inherited her cooking talent, it missed me!!!! Why do Japanese people ALWAYS go to Chinese restaurants after funerals? I have always wondered this. I too have childhood memories of Far East, not good memories (hahhaha) but memories none the less. I'm a huge fan of your blog. I came here by a link from a friend in Brazil!! (I'm a brazilian-nikkei living in Santa Monica now!) 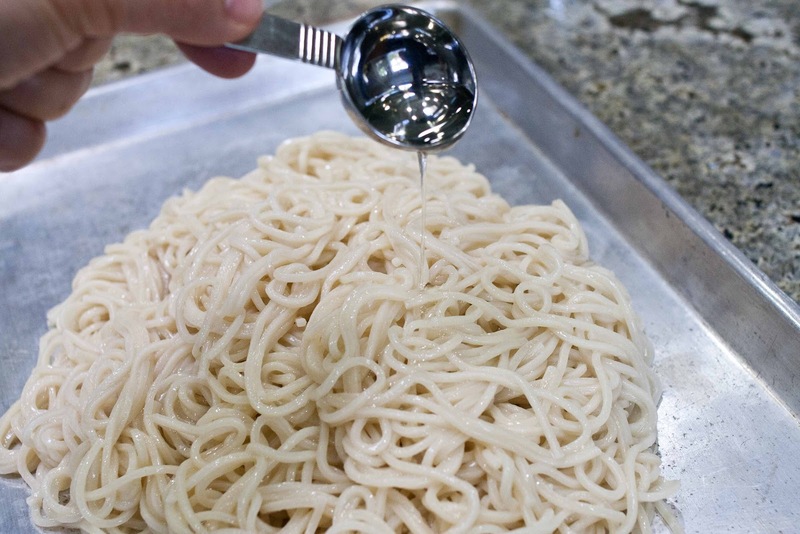 I know that you can find now everything you want to make a Japanese dish but the way you cook really reminds me the way my mother used to cook in Brazil. 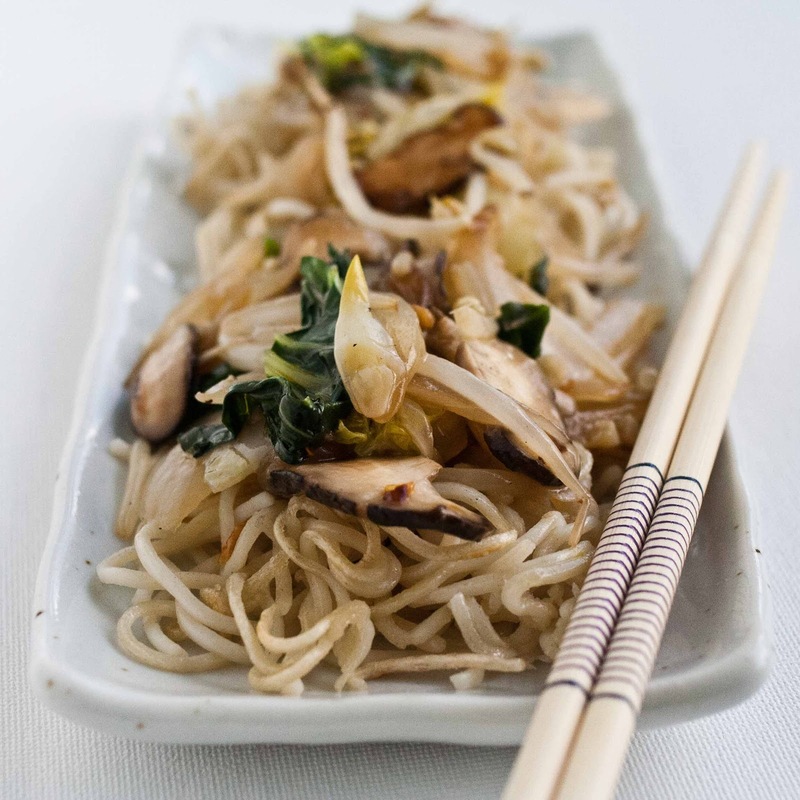 The way you cook is really a fusion of many cultures and that's why it's so interesting!!! Wishing for the next recipe!